To catch the small pieces of everyday dirt and debris, use a soft-bristled brush and sweep on a daily basis. Alternatively, you can vacuum engineered floors as long as you make sure the setting is suitable for wood flooring. Avoid using the bristle bar as this will scratch the surface and potentially damage the protective layer. For any stubborn particles, use a dry microfiber mop in place of a wet mop. This will collect any dust or debris without the need to use water which can damage the wood. 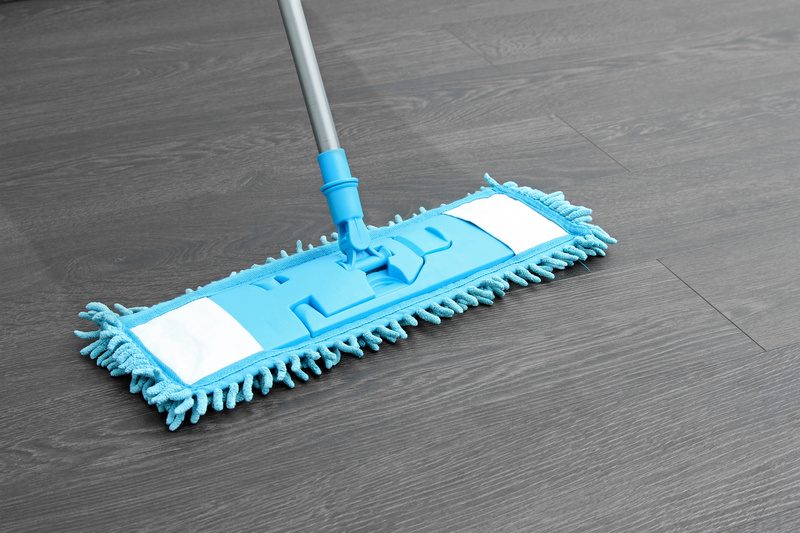 The microfiber mop is also less harsh on the flooring surface than a regular mop. Ideally, you should avoid water contact with wood floors as they can absorb moisture and warp over time. However, it is inevitable for spills to happen and you should clean this up as soon as possible with a paper towel or microfiber cloth. If the spill is sticky, you can slightly dampen the cloth and rub until the stain is removed. You should then use a towel to rub the area dry. There are certain cleaning products and items that should avoid contact with engineered wood floors to prevent irreversible damage or staining. You should not use vinegar or ammonia to clean the surface as they may corrode the protective layer of your floor. The same goes for abrasive brushes which can scratch the surface of your floor. Under no circumstances should you use a steam cleaner as the moisture can be forced into the boards which can cause irreparable damage. Following these tips will help you maintain a beautiful engineered wood floor. If you would like any further advice about your engineered floor, speak to our knowledgeable staff here at Get Floors.